This marks my class’ sixth week of word family study, and I absolutely love the routines we have establish for participating in word family activities and the success my kinders are feeling in recognizing and reading these important words that will make reading so much easier in the coming months. They are recognizing chunks and referring to the word family wall regularly, and I can really see how confident they have become. Needless to say, we love word family work. 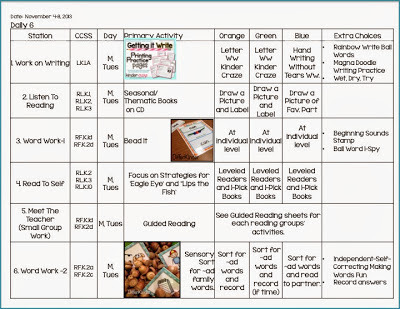 I’ve had quite a few readers ask me to give them an idea of how I use the activities and how I fit them into my week so I wanted to give you a quick run down of how and what I will be using this week to give you an idea. 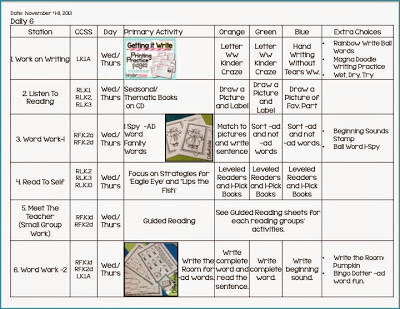 This is just a snapshot of where and when you would see Word Family Word Work during my week. My class has covered all of the short ‘a’ word families except for the ~AD family and that’s what we will be focusing on this week. Of course, we are constantly reviewing the other families but ~AD is in the spotlight. 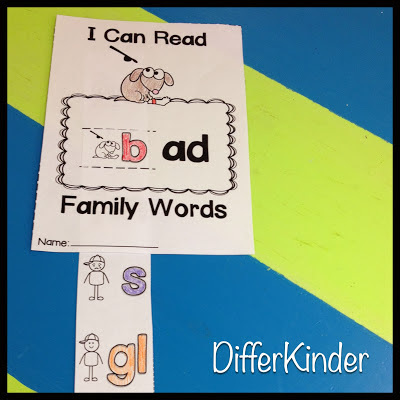 I start the week by introducing the word family during our morning Whole Group Literacy time through a kinesthetic activity where we use placards to build the words. I love whatever will keep them moving, and this fits the bill. If by some chance you don’t have these placards yet, click on the picture above to see how to make them and get your copy for free. Of course some of the activities are used during my word work stations during Daily 5 (My Daily 6). Below you will see my Monday-Tuesday scheduled Daily 5 plans for this week. My students love working in a sensory table. 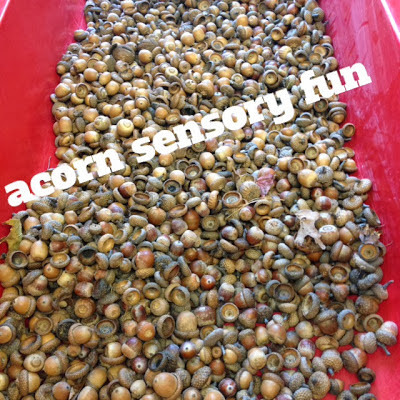 I scored a TON of acorns for this weeks sensory fun. but this time I will have them sort them from the sensory table into a small pocket chart labeled with a thumbs up and thumbs down. Kind of like the ones below. 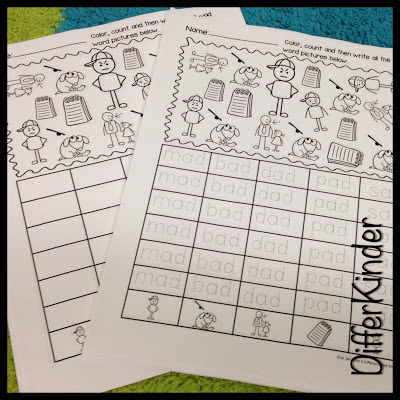 As part of their choice work (things they can work on if they complete word work activities), they always have the option of doing Independent Self-Correcting Making Word Family Words Fun. I like to mix this up and offer play-doh, magnets or beads to keep it interesting. It’s so nice to have an independent activity that I can continually add new words to keep it challenging. 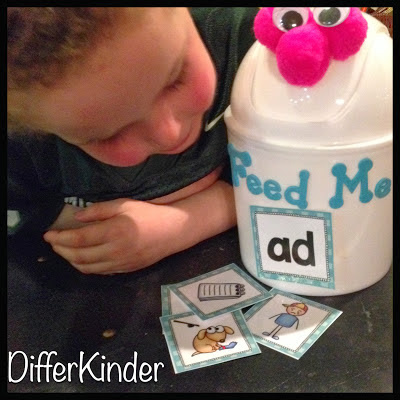 During the guided reading portion of Daily 5 on Monday and Tuesday, as part of the word work portion of my guided reading block, students will be sorting ~ad words by feeding Mr. Munchie Mouth. This week he only eats ~AD words. I am going to admit that this little guy hadn’t been used in a couple of years, but I pulled him out this year and my kinder friends LOVE LOVE LOVE feeding him. It helps to introduce him with a little animation and work with them those first few times with great enthusiasm and a sense of fun. Now they can almost run this portion of guided reading on their own when we are using him. When we get together for whole group work on Tuesday, students will be doing thumbs up and thumbs down for ~AD family words. 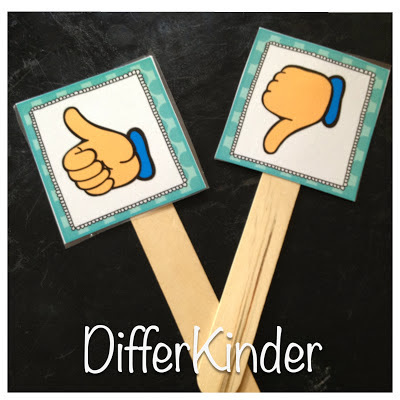 I have these little thumbs up and thumbs down cards on craft sticks. I show them a picture and say the word and they give me a thumbs up or a thumbs down. 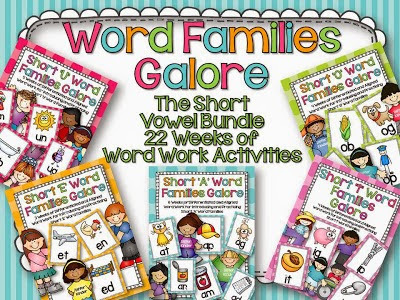 This is a fun, quick activity that continues to get them familiar with the word family words and pictures before doing a bit more ‘heavy’ independent work. Daily 5 for Tuesday is the same as Monday (students only go to three stations each of the two days so that is why it is the same for two days). When my students come in first thing in the morning, I like to have something fun but engaging for them to do while I complete my attendance and lunch choice. 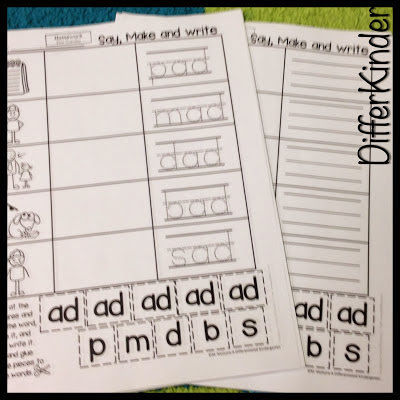 On Wednesday, they will be doing an ~AD Family Color Count and Write. 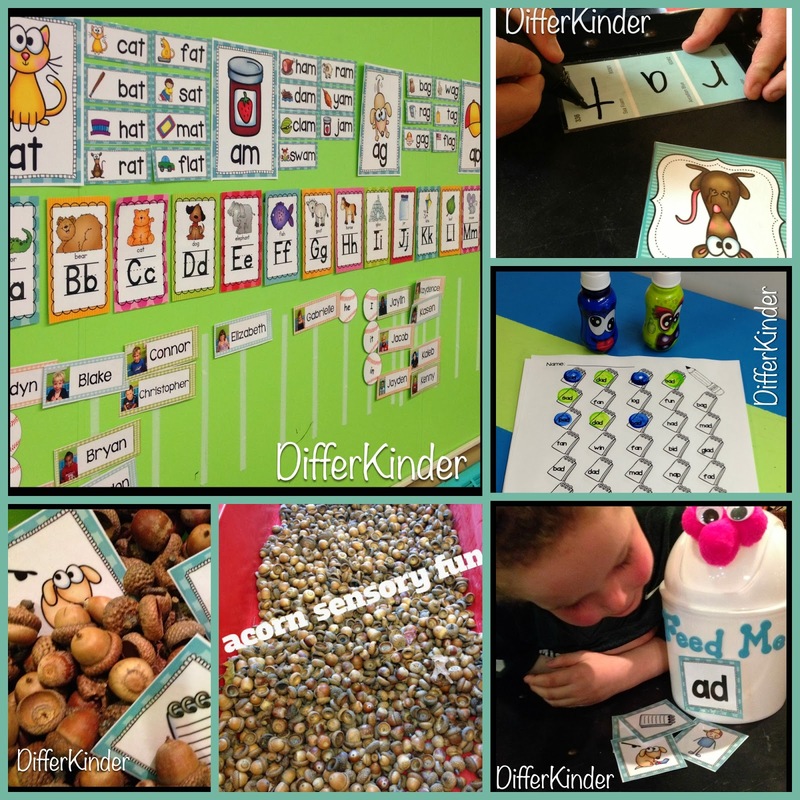 It’s differentiated to keep them challenged if needed, but gives those students who still need a bit of help with writing the opportunity to trace letters. 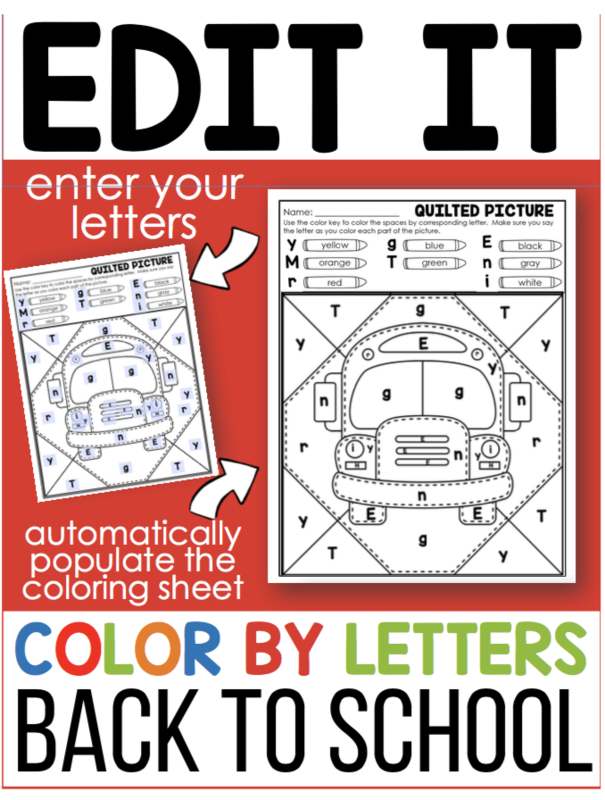 Students count and color the pictures, and then they write the word as many times as they colored it above. I don’t have a picture of this activity, but for this one, I play an I-Spy With My Little Eye . . . a word on the word family word wall game. I say, “I spy a word . . .” and I give them hints to guess the word. For instance, “I Spy a word that is part of the ~AD family. It can be an emotion and tell us how someone feels . . .” Or something like that. It gets more difficult the more word families are introduced. But they love the challenge. 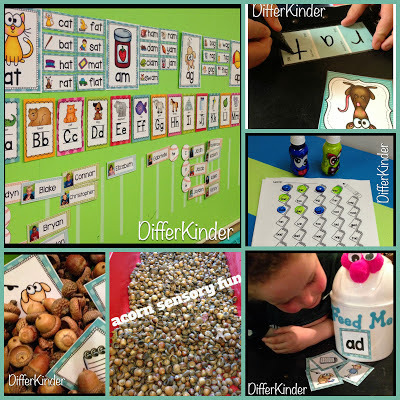 It is another differentiated activity. 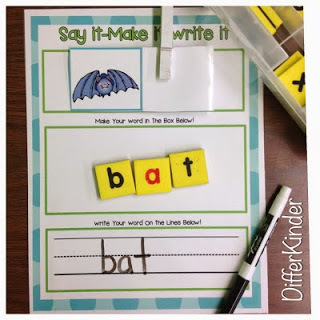 Some of my students are ready to only add the beginning sound and there is a tier for them as well as a tier for students who are ready to write the complete word and another tier for students ready to complete the word and write and read it in a simple sentence. As part of my Guided Reading rotation for Wednesday and Thursday, we will be making and writing ~AD family words on paint samples like the one below. My students like choosing their favorite color and, if you really want to engage them, hand them a Scentos Dry Erase Marker to use when they write their ~AD words. (Yes, I’m addicted to those lovely things). On Thursday morning, students will be completing the ~AD word family slide. There are two versions of this slide too. 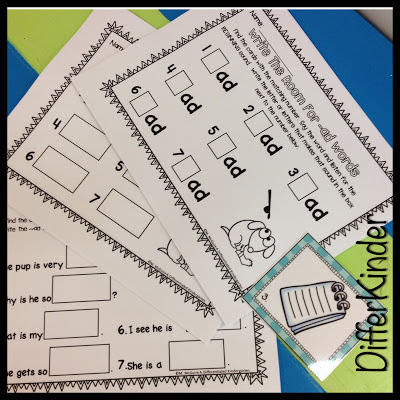 One includes the pictures to help those students that still need that added prompt, and the other version includes only the letters on the slide. I like this activity because my students need as much cutting practice as they can get, and they all LOVE the opportunity to just color!!! On Thursday during whole group, I have the students taking turns reading word family words as they search for the hidden ‘family member.’ I place different word family words in a pocket chart (I use a hanging one when I use this activity for whole group, but this is the table top one I use when I play this game during guided reading) and everyone gets a chance to guess where the ‘family member’ is hiding. The person who finds it gets to hide it the next time we play. Daily 5 Activities are the same as Wednesday. So they are the same as above. Thursday is also the day that I send home homework for the weekend to be returned on Tuesday. 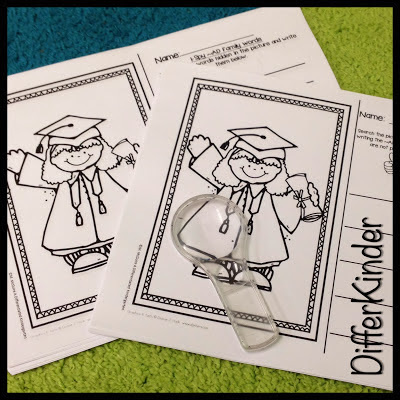 So this week, my students will Read Make and Write a differentiated ~AP word homework activity. There are tons more activities and games that I can choose from to keep things fun and engaging, but this is just a little sample of what kinds of activities might be included in a typical week. If you’d like to find out more about the activities, included in these word work packets you can click on the picture below. I’d love to hear your thoughts or ideas about how you teach word families to your students. Wow, I am so envious of your planning skills. I am still struggling to fit Daily 5 into my 3 1/2 hour school day. After our daily Arabic class, snack, recess, etc. I’m lucky to fit anything in. So here’s hoping your boys pick me for your word family unit — I could really use it!! 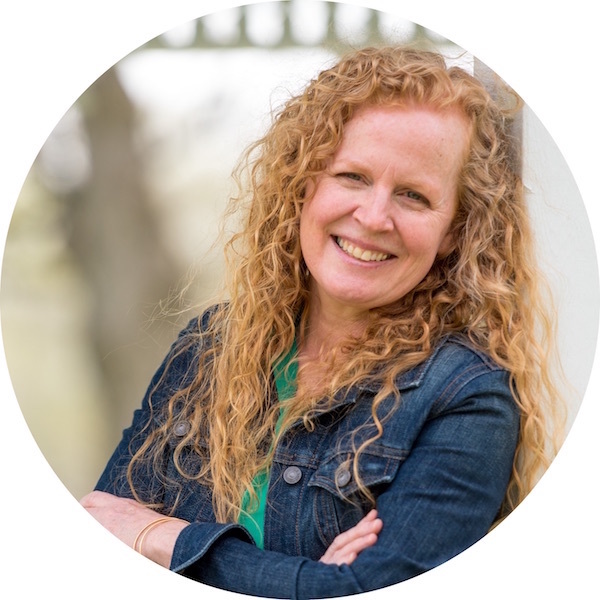 oops…my name is Erin, in Calgary, AB — LOVE your blog! These look fantastic! I just downloaded your letter placards and I can’t wait to use them. Thank you so much for sharing your knowledge and skills. Thanks for sharing!!! I’m excited to start my kids on these activities this week!!!! 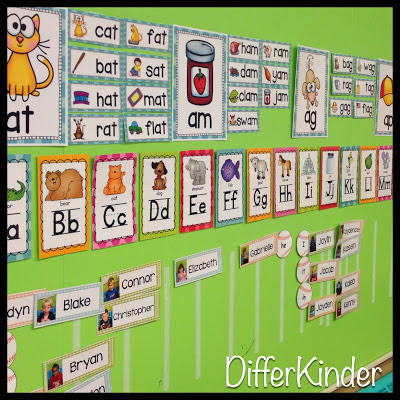 It has taken a long time this year for my kiddos to learn letters and sounds. I’m wondering if you will keep these up all year or will the “a” families come down and the next group will go up??? I keep them up all year so that students can reference them. I admit though, when my year starts, my walls are blank…nothing on them. When the year ends, there isn’t an inch of space left. My students use those posters and cards every day. I love how organized this is. I can see how the routine would support all of the kids. I love how you always have the best sensory bins! I love your ideas and activities. You are a great inspiration to other teachers. Wow! I love that wall! I seriously want to re-do my sad word wall after seeing this. So useful for the kids. I am always impressed with how thoughtful and thorough you are with all of your units. This bundle is amazing. Going on the wishlist! Hi Boys!! Please pick me. I wish I could be in your mom’s class. She does so many fun things. I hope one day my class can be as fun as hers! No…not angers@seeschool.com! Darn autocorrect. It’s amyers@seeschool.com. I love all your great activities for word families. My kids are in need of word family work. They are sounding out everything including word family words! They would have a lot of fun working with these activities! Awesome post! I love how it all flows! I have your -at family packet and love it. Your entire pack is in my wish list. Waiting to make the big purchase! Your stuff is all great! kdiaz@bryanschools.net thanks Kristin! Great question. I’ll try and post a picture this week to show you. Thank you for sharing your AWESOME ideas!!! I LOVE the word family packs. Very informative post!!! I bet get ‘cracking’ on some Word Family packs. Oh, I would love to have a copy of your Word Family packs, they are awesome!!! Love your units and so do my students!!! Hope I get lucky and your boys pick my number!!! 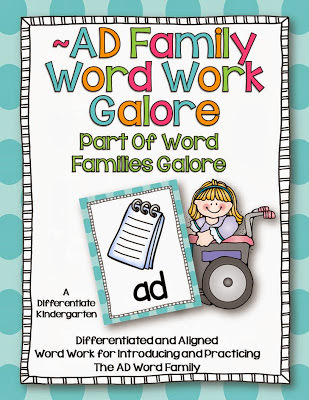  We begin our weekly study of word families with word family houses…but your packet offers so many more activities! Keeping my fingers crossed!!! These are such great ideas! Thanks for sharing!! Fantastic post! It is so detailed and full of great tips!! Thank you so much for the chance to win. I love all of the products I have gotten from your store. So interesting to see how your class works! Thank you for sharing! I have these in my wish list. My students love all your products. I would be so excited if I won these! Oops I commented on your facebook status! These are on the top of my wish list…I just need to save my money! I sure hope I win! I am so impressed with how much you pack in to a week! Your kiddos work hard! Love, love, love your products! Thanks for sharing your wonderful ideas! Please, please pick my children! They love all the things from you that I already have, and I know they would love the word families, too! Thanks so much! OMS!! I was on the site yesterday, but I got so engrossed in your activities I forgot to comment! Ding Dong to me! Love , Love, Love these! I am doing the at word family this week and would love to have the entire set. Even if I don’t win I will probably buy it someday. This is so amazing! I hope someday to be as organized and routined! LOVE this! Your pack is on my wishlist. 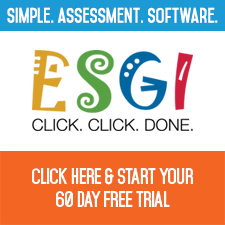 I want every resource in your classroom. I love your organization, structure, and predictable activities that foster independence. I typically don’t focus on word families until later in the year, but you’ve just given me an AHA! moment. Fingers crossed! Love your word galore! 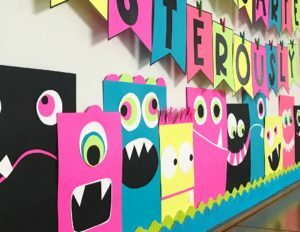 So creative and visually exciting for kids! What great ideas….these are so awesome as is your website…thanks! I have always loved reading about how you work with your students to master the common core standards! 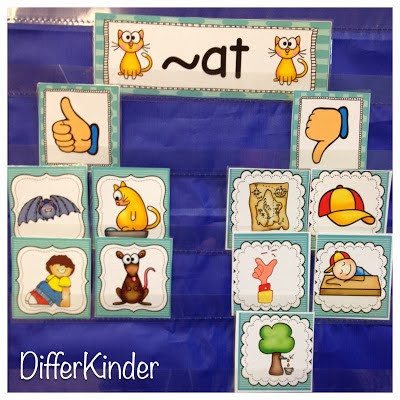 Do all of your students know their letters and sounds at this point? Mine are still working on them. All but one of my students are ‘top bananas’ but tomorrow I get a new peanut so I have a feeling it will be two. We’ll get them there though. Slowly but surely it will happen. This looks amazing! It’s obvious how much time you put into this. This looks like a wonderfully fun pack my class would love. We are talking about the possibility of using the Daily 5. Would love to know how people feel about it. We are currently using HMH and I am following a themeatic plan that another group of K5 teachers have created. We haven’t covered a lot of sounds yet. I’m anxiously waiting the addition of consonants, so that I can start teaching word families. This looks like an awesome way to do the word families. Thank you so much for sharing! I love this. And I am deeply envious of your organizational set up. Those plans were beautiful. I love working on word families and hope I win your work. That means a lot to me coming from a Reading Specialist, Marsha! Very detailed and thorough. Thank you for taking the time to break it all down. WOW! Love this post. I am going to be trying some of these strategies in my classroom. Oh my goodness! This is an amazing packet! I want/need this very badly! 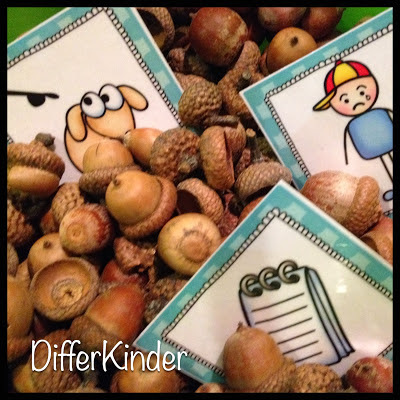 WHERE and HOW did you score so many acorns? I’ve been looking all over for them. 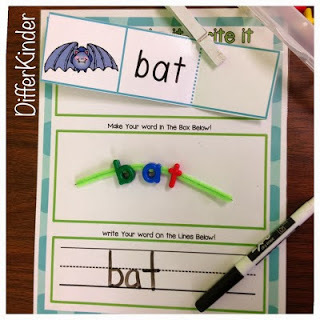 Very awesome word work ideas! I’m loving Daily 5!! I was wondering the same thing!!!!! This pack looks amazing and I’m sure my class would love all the fun ideas. Also, I’m feeling lucky…today is my birthday and this would be a great celebration! Am determined to make word family work a more integral part of our routine. I own the -at word family pack and would really love to be able to own the entire set to get me off and running. I love your breakdown today of how it looks on a daily basis. Thanks so much for your insight. Your short A pack looks amazing. Perfect timing because I am just beginning to introduce short A words to my class. Fingers crossed that I win! 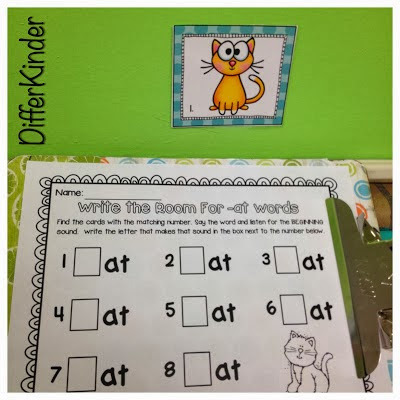 This is the first year our team has made a good plan for teaching the word families in kindergarten and your detailed weekly plans really help me to see a good flow. I will keep reading and see if there is a way I can fit it in…we use Daily 5 too so I would love to have some very focused word work activities. I really appreciate you sharing! I love ALL your ideas. 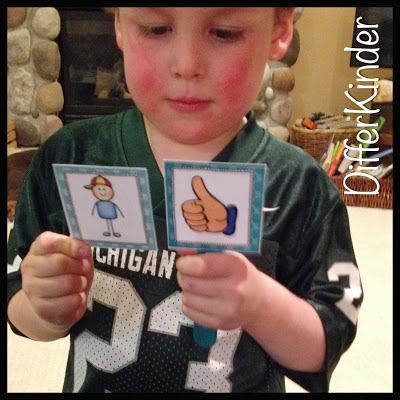 The way you teach sight words is amazing as ever. I love how simple and yet very focused everything is. Thanks for all of the super ideas!! I would love to win this for my students!! OMG that’s fabulous. I’m one away from a Top Banana Party….I’m dying for it. I’m about 5 away from baseball. I love all of your great ideas! 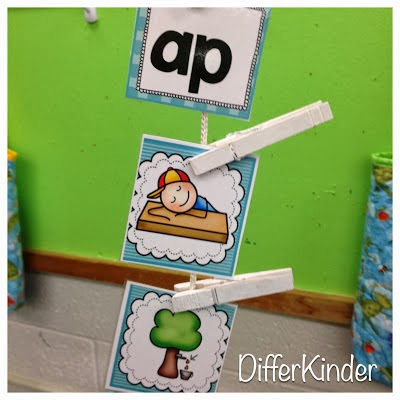 What a fun way to learn word families!! Your pack looks amazing and the post was so detailed. I love it! My Kindergarteners would love this pack too! 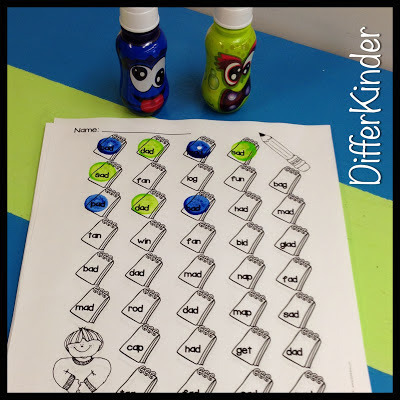 This would be an incredible resource to use when I teach my kinders word families! Thank you for all of your hard work and for your willingness to share it! I LOVE every glimpse I get into your AMAZING classroom. Thank you for always inspiring me to be a better teacher. Your creativity and sharing are a blessing to me and my kiddos. We would love to add this word family pack into our classroom. Awww that’s so nice Tracey. Thanks. This would be awesome! 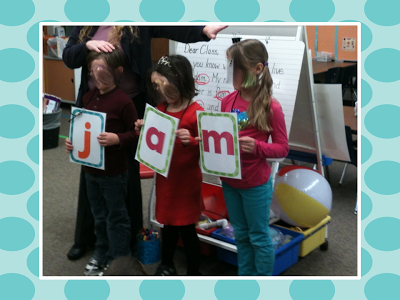 We are string word families this week in our reading series. 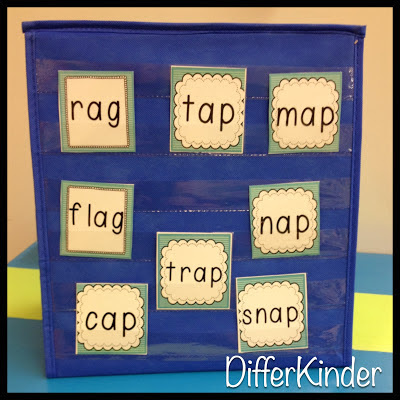 These would be great for our word work station, small and whole group instruction. I LOVED your -at packet that was included in the Educents bundle. Lots of fun, hands on activities. Dee, that is about the best thing I’ve heard in a long time. Thanks so much for sharing my blog with other teachers. It’s a labor of love. I absolutely love all of your stuff. I use so much of it in my kindergarten classroom. I have never tried word families this earlier in the year, but my kids are loving it!! Thank you for all of your hard work and inspiration!! Awesome to hear. Make a munchie mouth man and your kinder friends will love you. I promise! Thanks for sharing. You and your products amaze me. Your word families are on my wishlist. Thank you for being such an inspiration. Can’t hurt to give it a try. I’m glad you decided to enter. I would LOVE to win this. We are currently working on the -at word family and have just introduced the -an family as well. It isn’t going as well as I had hoped. This would be such a help. I love all of the products of yours that I have purchased and this is currently on my wish list. You are wicked talented! You know I love your stuff! You are so creative! Slowly but surely I will download all of it from TPT. Winning it wouldn’t be so bad either.  Thanks for all of your tips. They are always a big hit! Thanks for your constant support. Love to hear it. Thank you so much for sharing routines for introducing word families. I will be introducing word families next week. I would love to win your packet:) Thanks for the opportunity!!! Awesome!! I would love to have this collection! I am a first yr teacher. I love your blog!! We’ve just begun word families, so these would be so terrific to have to dig deep  I LOVE the word family wall you created–I’d have to squeeze in some wall space, but it would be well worth it! Thanks for the fantastic blog post. WOW! This looks awesome and I wonder how you get everything done in a day??? We started word families last week and it didn’t go so well- I have a LOW class this year, but there’s no where to go but up! This is awesome for my kinders!! How did I miss this? I would love this resource!! I love looking into your virtual classroom. It would be awesome to see it in person. Thanks for this opportunity! tynetots2000@gmail.com. Your kids are lucky to have you as a teacher. You make learning fun! 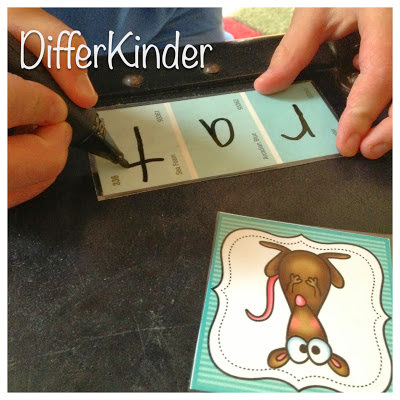 I just love your word family activities and the fact that they are kid-tested! Thanks for all your hard work! Your word family unit looks awesome! I have never introduced word families this early in the year. 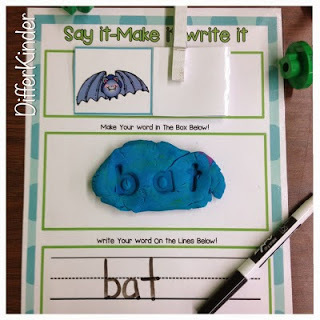 Do your students come to you knowing most of their letters and sounds? I read this post and didn’t realize there was a giveaway until I saw it this morning on Facebook. I LOVE these packs. I just put them in my tpt wishlist last night. We don’t do word families, per se. We do short vowels and I work them in that way. All but 1 or 2 top bananas?! I’m so jealous! I have two at this point. Wow! Youa re so inspiring and have such stinkin’ cute stuff!!! You make the impossible possible. Inspirational! Wow, can I borrow you for a few days to help me and my kids get on track. Your work is wonderful! 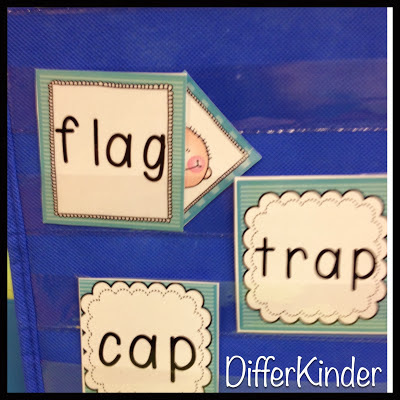 My kids are stugling with word families and I think that your ideas are just what they need. Thank you for sharing! I love this set, this would be a great resource for my class! Question about how you move from center to center during your “Daily 5” centers: How do your groups actually change centers – do they spend an allotted time (if so, how much) in each center and move with a signal? do they then move to the “next center” Is your “time with teacher” an allotted center and then they move into the next rotation? I am having trouble using time with teacher as one of the Daily 5 centers because if it is scheduled, I have so many EC and speech kids pulled out and they end up missing their guided reading group. So I just pull them if I see most of them are in the room, but then when they move back into the rotation they have missed and/or didn’t complete that rotation. It gets complicated!